Jul. 16, 2017 11:35 a.m. There are more than 37,000 wildfire evacuees in B.C. as of late Sunday morning, according to transportation minister Todd Stone. “Today we have just about 2,900 people on the fires,” said forestry minister John Rustad. The province has 24 helicopters up in the air but strong winds are affecting air operations. The accident, which occurred in the Chilcotin area, has left the pilot in stable condition, said chief fire information officer Kevin Skrepnek. The EC-130 helicopter was operated by JB Air Inc. The Transportation Safety Board has been contacted but will not be investigating further. Since April 1, there have been 641 fires burning 131,000 hectares across B.C., said Skrepnek. There were 162 fires burning on Saturday and 16 of those are interface fires with evacuation orders or alerts associated with them. Skrepnek added that the weather is forecasted to remain hot, dry and windy. “It would take an unseasonably significant rain event to really change the situation now,” he said. The most rapidly growing fires were around Williams Lake and the Ashcroft Reserve fires. The Ashcroft Reserve fire is currently the biggest wildfire in B.C. at 42,300 hectares. The fire is largely growing along the highway, said Skrepnek, especially between Clinton and Cache Creek. “Violent fire behaviour” has caused the BC Wildfire Service to pull back some of their crews near Williams Lake. The White Lake fire, which has jumped to the eastern side of the Fraser River, is the biggest threat to the city itself. Emergency Management BC deputy minister Robert Turner said that 80 per cent of those who have registered for aid have received it, for a total of 5471 payments. 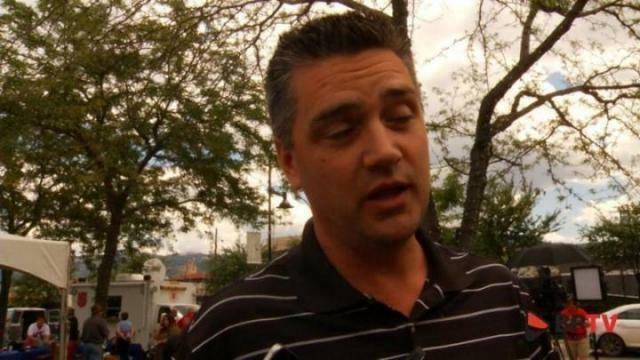 Turner said that Kamloops authorities are doing their best to handle the influx of refugees. Stone did ask evacuees who may have family elsewhere, especially in the Lower Mainland, to see if they can stay with them instead. Most evacuees are not staying in group lodging, Stone added, but are staying with friends and family or have found accommodations with local families. According to Turner, this isn’t B.C.’s worst evacuation ever. There are evacuation centres set up in Kamloops, Prince George, Surrey and Chilliwack.